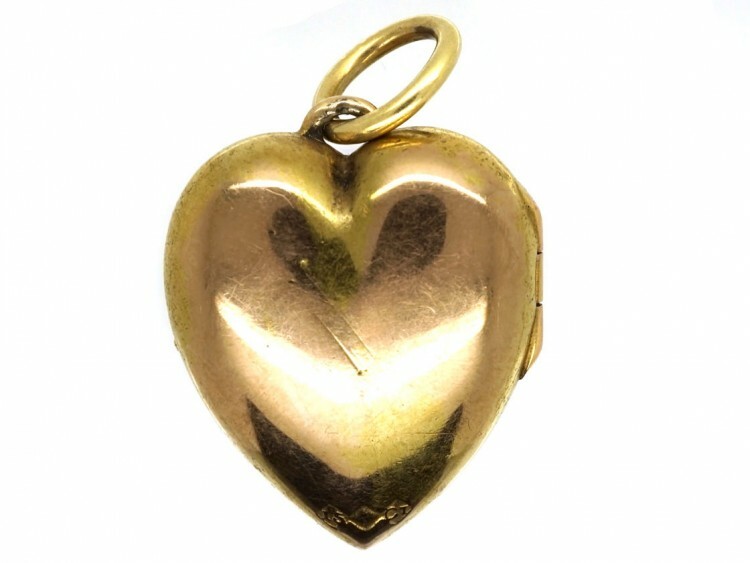 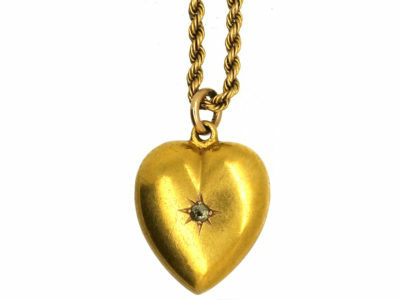 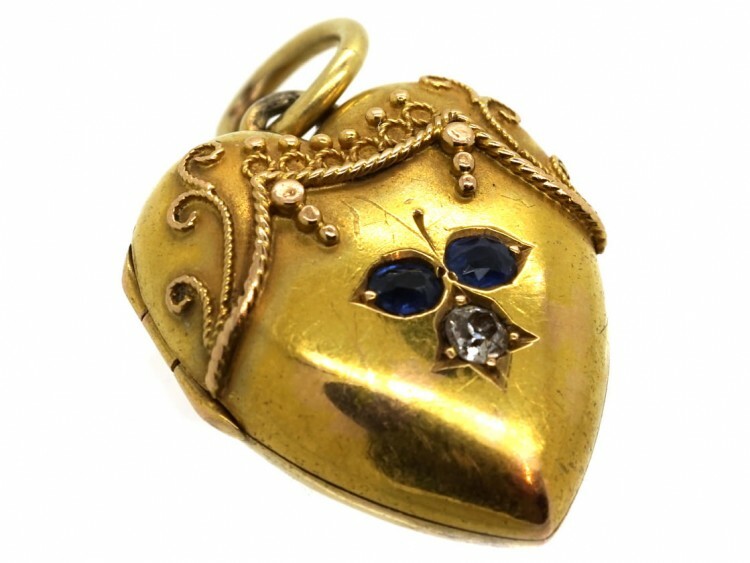 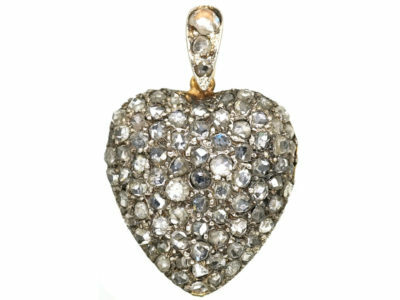 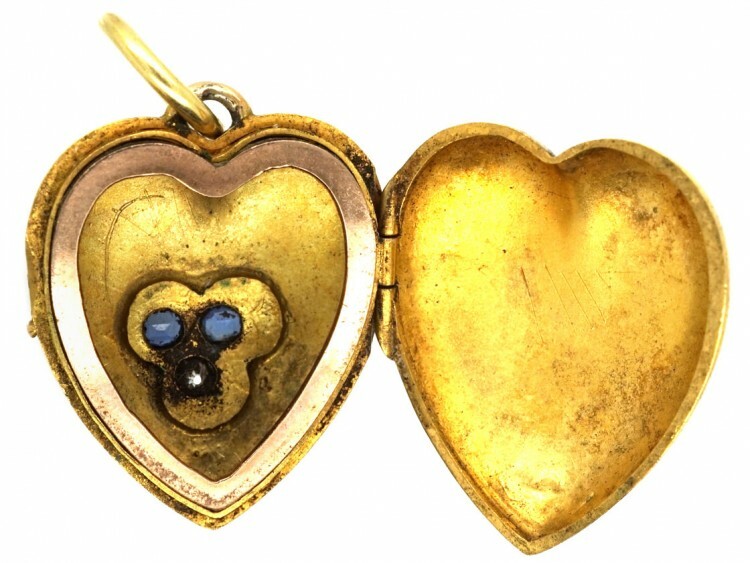 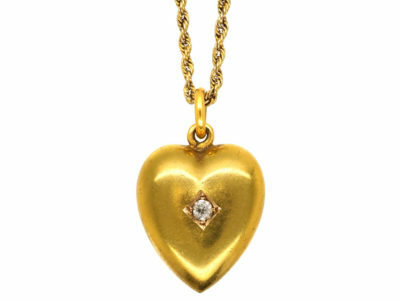 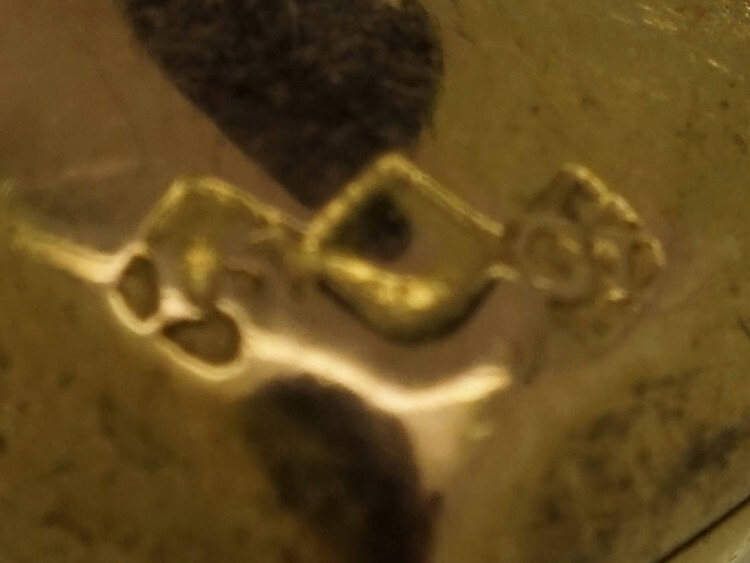 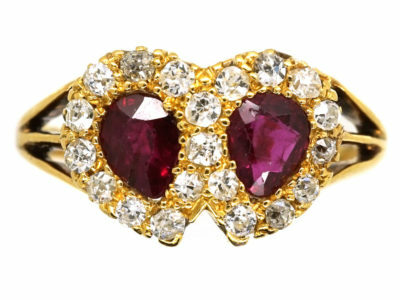 A good quality 15ct gold heart locket. 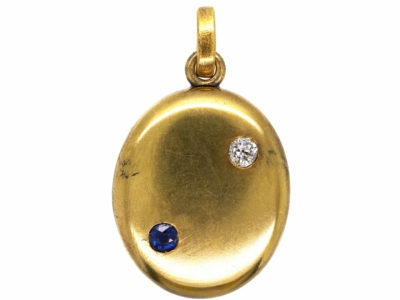 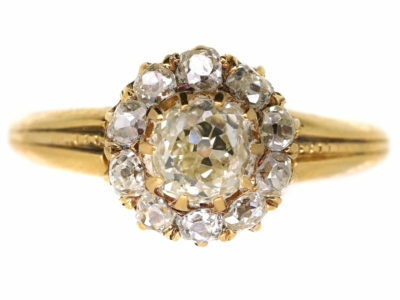 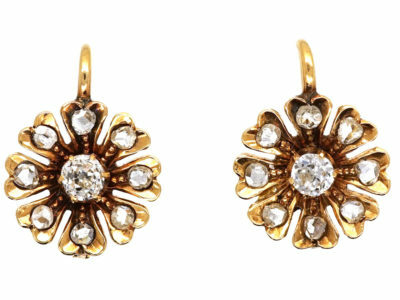 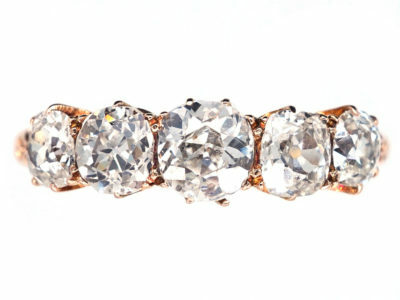 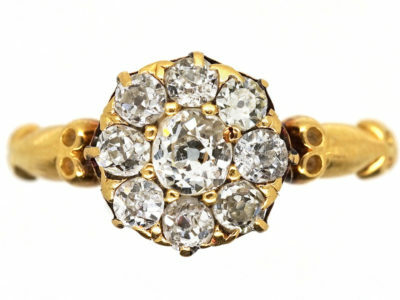 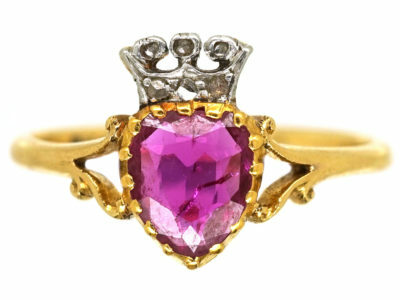 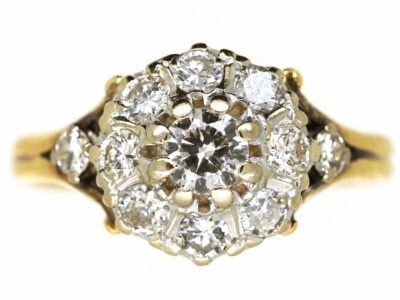 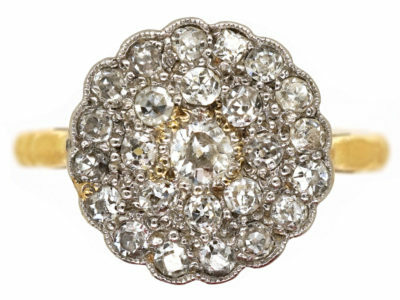 It is set with two sapphires and a diamond. 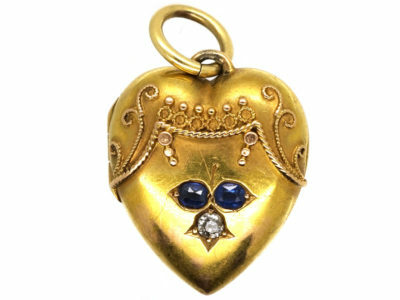 The gold work above the stones is called Etruscan work Corded gold wire has been applied by hand after the ancient techniques to create matte and shiny surfaces and depth and relief.